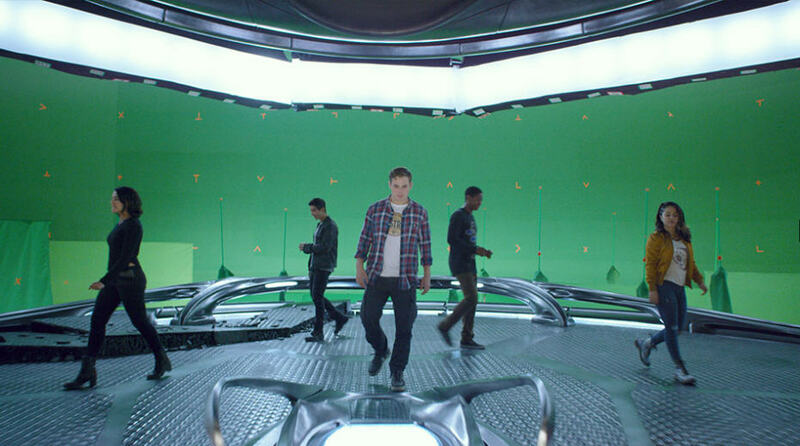 [ #ImageEngine #MakingOfPowerRangers #VFXBreakdown #Films #showreel #Spotlight #Feature #news]Image Engine keeps their excellence going in the art of reimagining many films from decades past, channeling years of nostalgia into sequels and revamps such as Jurassic World, The Thing, and Independence Day: Resurgence. 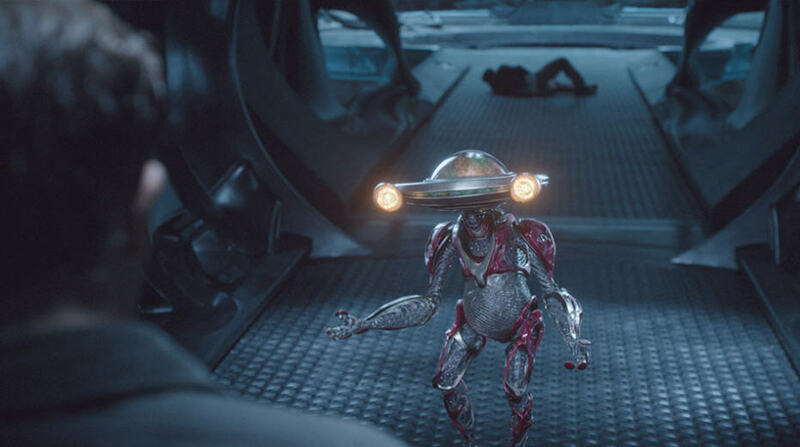 The studio’s artists were once again offered the chance to tap into their childhood on Saban’s Power Rangers, a dream project for many who grew up with the white, red, black, blue, yellow and pink heroes. 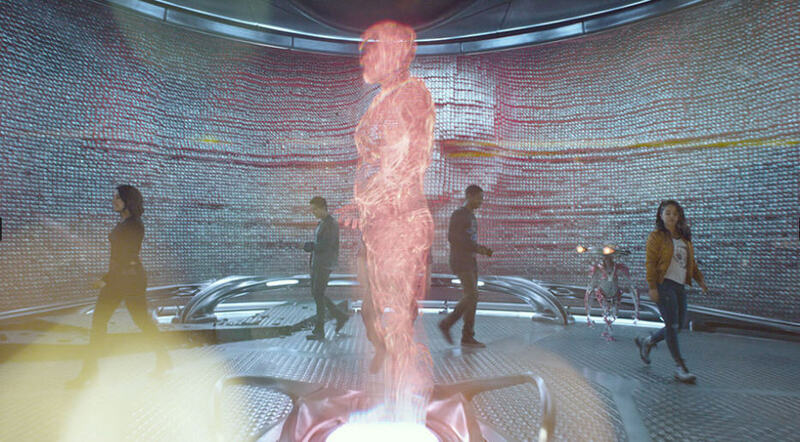 The Lionsgate reboot is based around the Mighty Morphin’ superhumans of the television series – a worldwide hit from the 1990s about a group of teenagers imbued with special powers, which continues to live on today in popular culture. 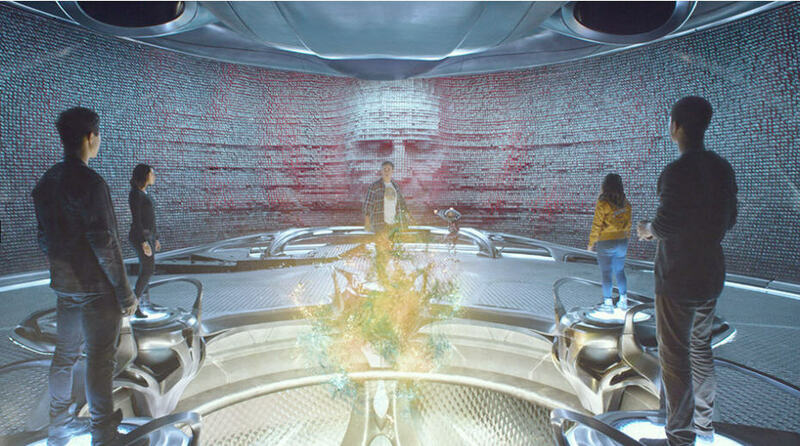 Image Engine was called on to deliver over 300 complex visual effects shots on the film, ranging from the starring robot Alpha 5, voiced by Bill Hader, to an elaborate pinscreen representation of Bryan Cranston as the ancient Power Ranger Zordon. 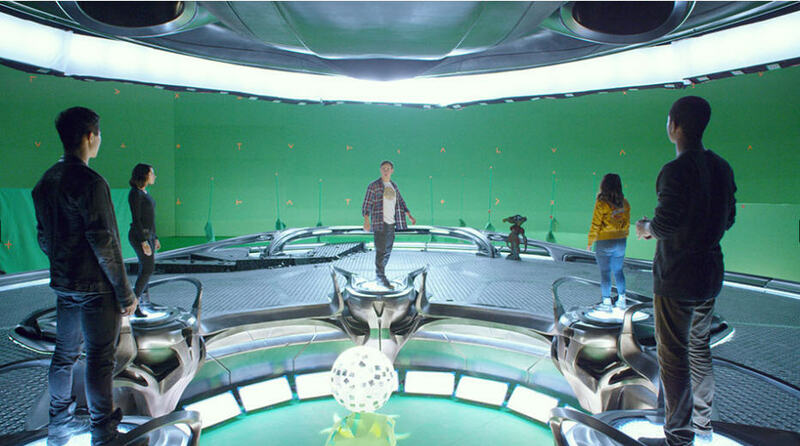 To make Power Rangers “Go!”, Image Engine engaged in a close-knit collaboration with director Dean Israelite and visual effects supervisor Sean Faden, drawing on recent advancements in its animation, rendering and workflow tools to ensure an experience unlike any other. 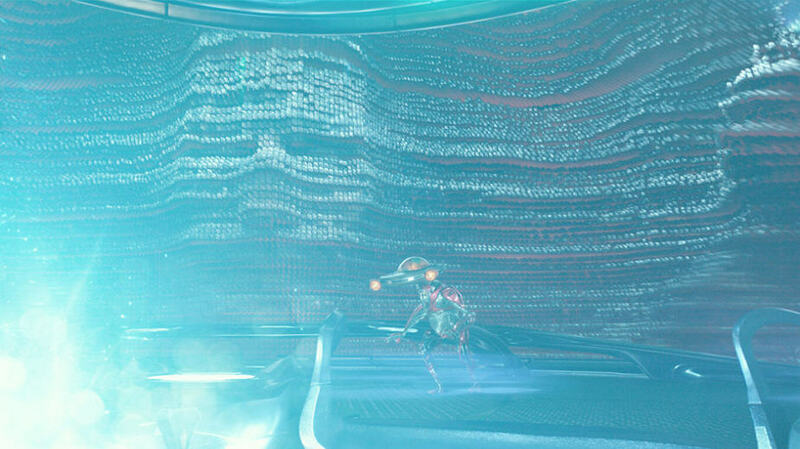 The creation of the Power Rangers’ zany robot sidekick, Alpha 5, formed the core of Image Engine’s work. 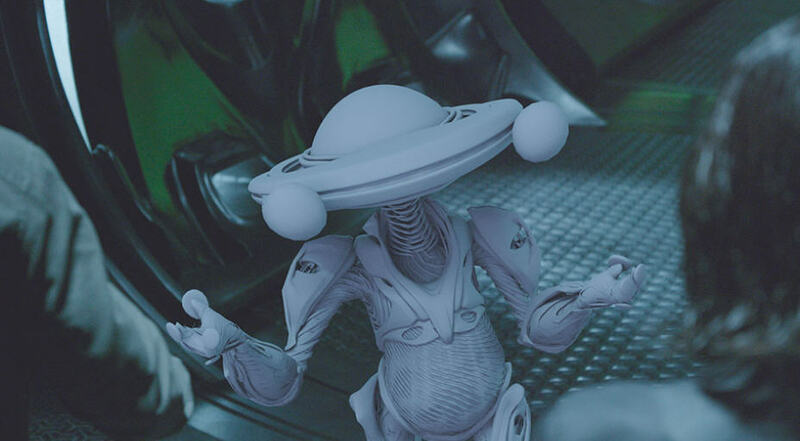 The studio approached the fully CG character using the wealth of knowledge and experience it has built in photorealistic robot creation over several projects, including work on Neill Blomkamp’s Elysium and Chappie. 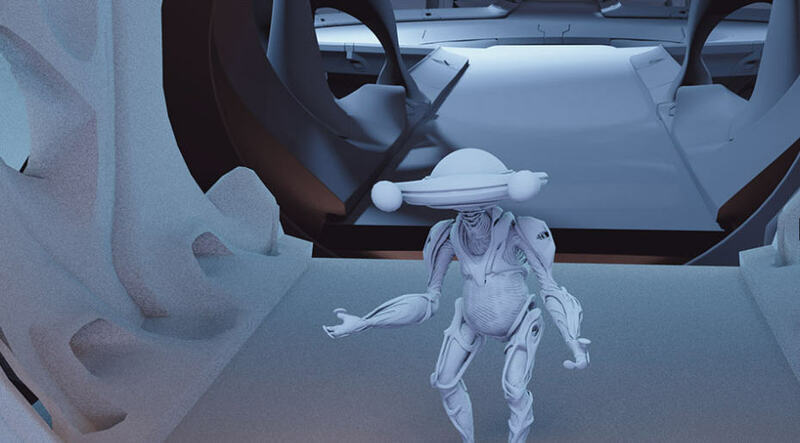 Image Engine was awarded the work after an initial ‘casting’ process in which they carried out an Alpha 5 test animation. 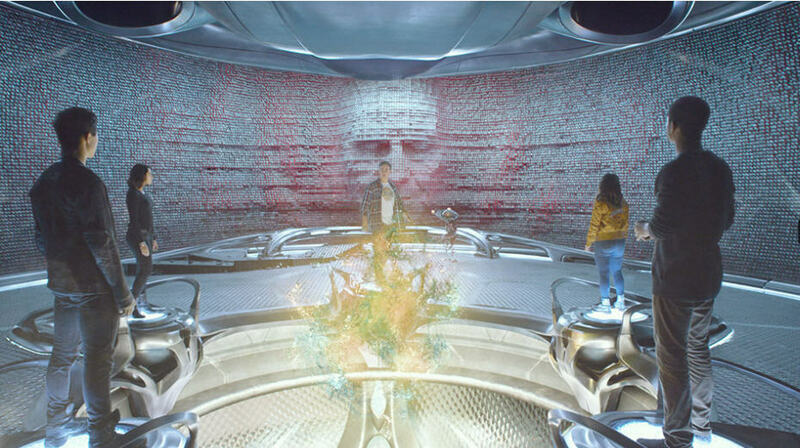 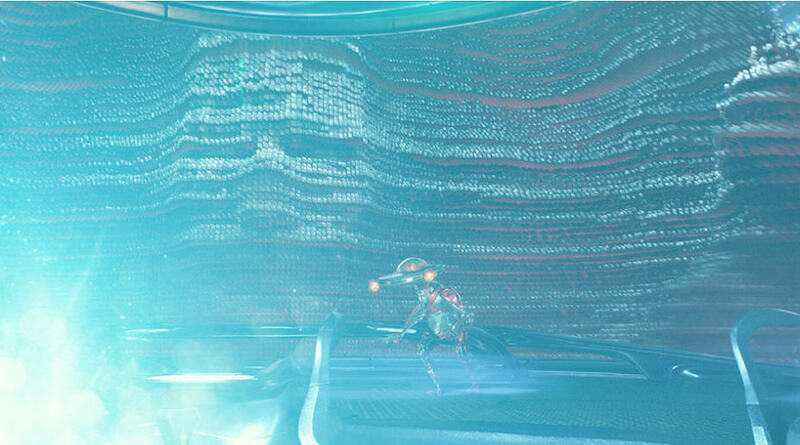 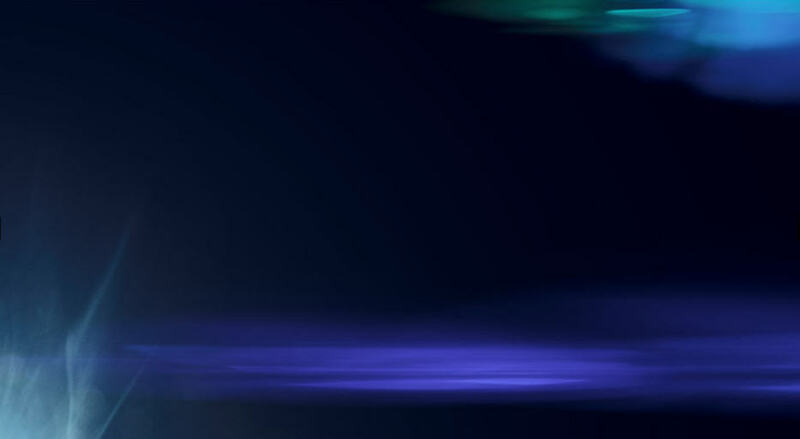 Alpha 5’s personality also shines through in the design of his ‘brain’, which contains a spiralling particle effect akin to a nebula formation. 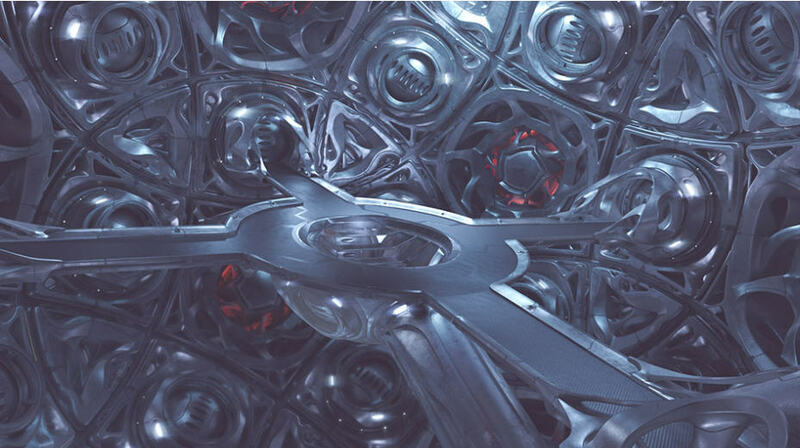 The final design drew upon the concept that Alpha 5’s entire nervous system comprises a fiber optic-like structure spread throughout the body, sending pulses to the brain. 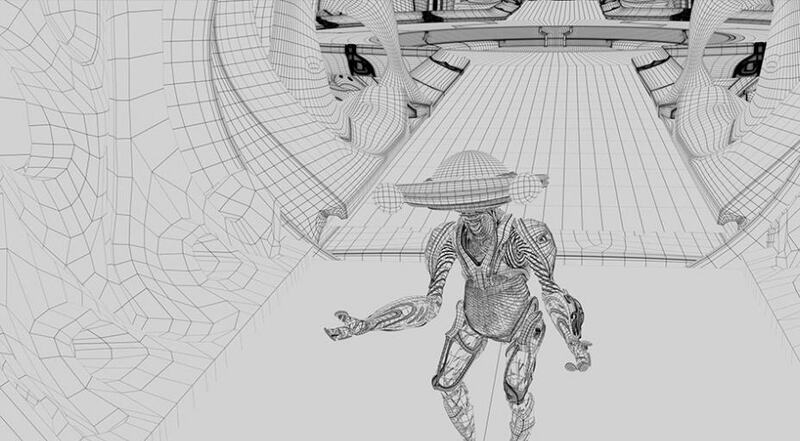 Image Engine solved the technical animation of the pulses inside SideFX’s Houdini, then re-targeted them to Alpha 5’s animation rig. 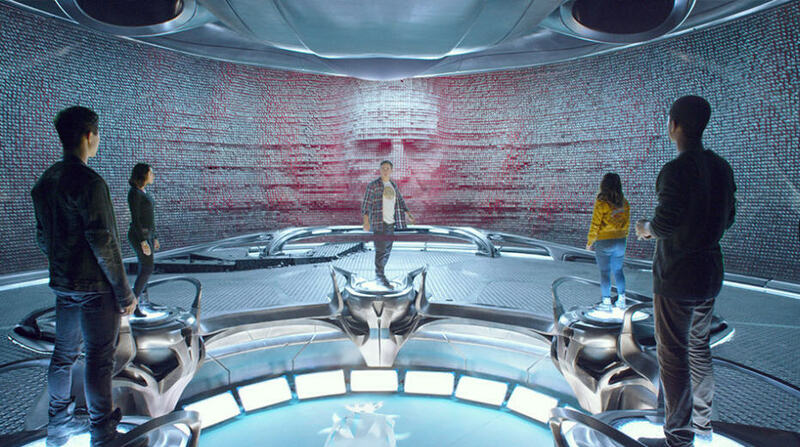 Zordon is the Power Rangers’ leader and mentor – a giant face encountered by the team within the command centre of a massive vessel. 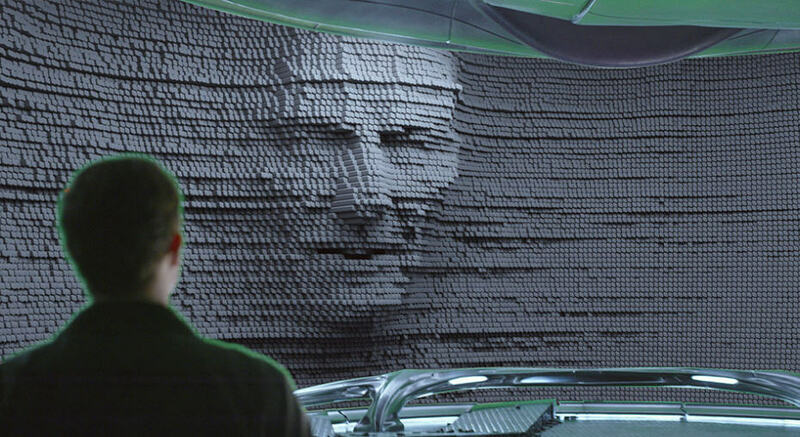 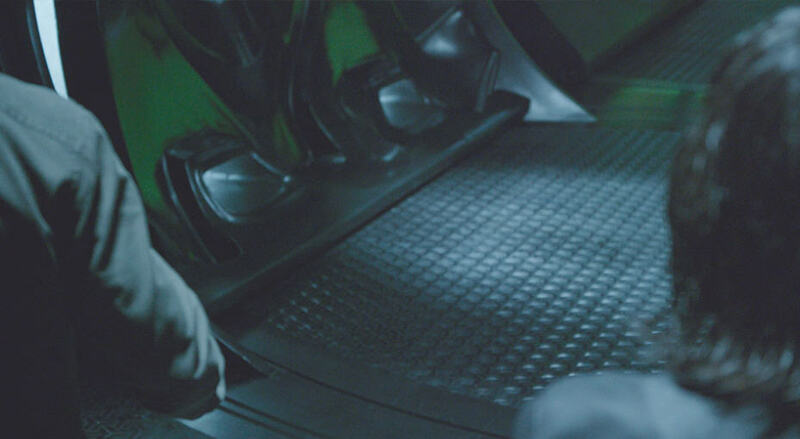 Although the performance is driven by the likeness of Bryan Cranston, it is translated through a vast wall of shifting pins; essentially a large scale version of the Pin Art desk toy. 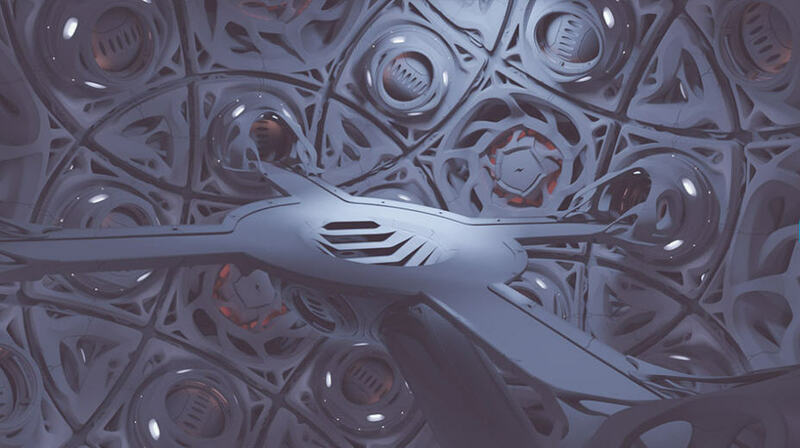 Image Engine settled on a look for the moving structure that resembles subtly carved graphite pins. 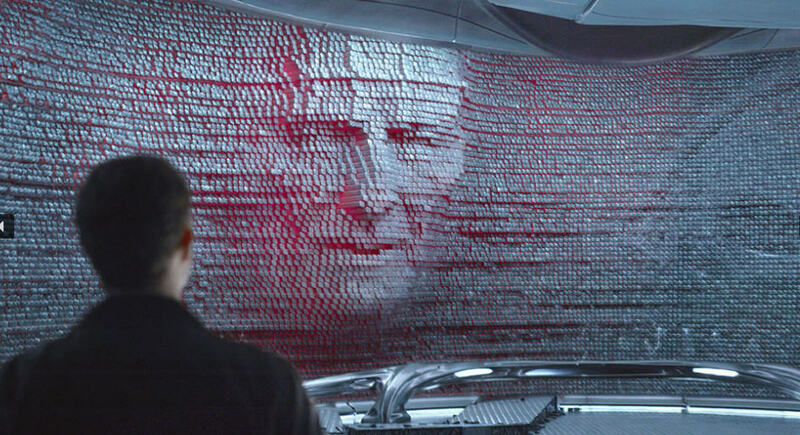 Each pin was driven by performance captured footage of Cranston’s face, which was acquired by nine cameras reading his actions as he delivered Zordon’s lines. 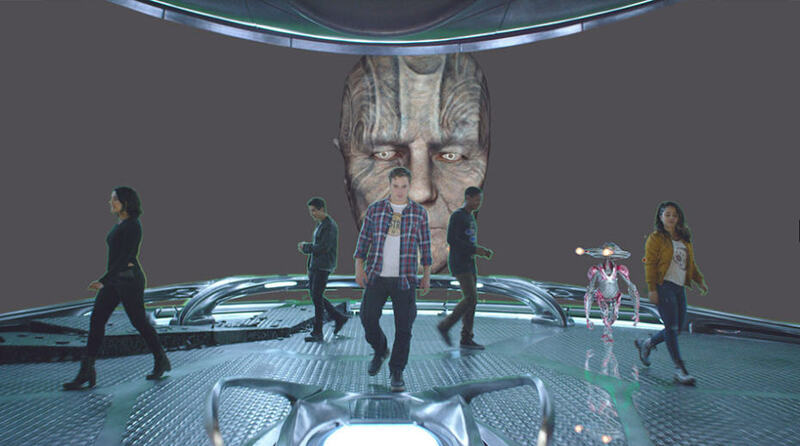 The actor needed to sit motionless in his Zordon make-up, faced by a light array as he gave the performance. 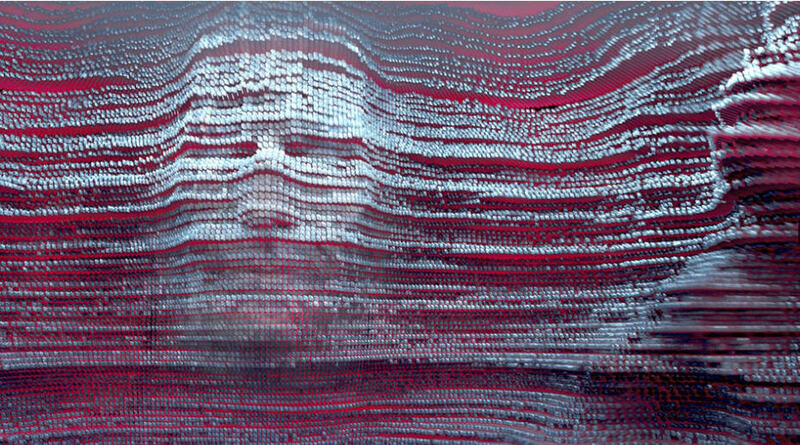 He was also asked to provide a broad list of face shapes, such as a grimacing look, an “ooo” shape, or a smile. 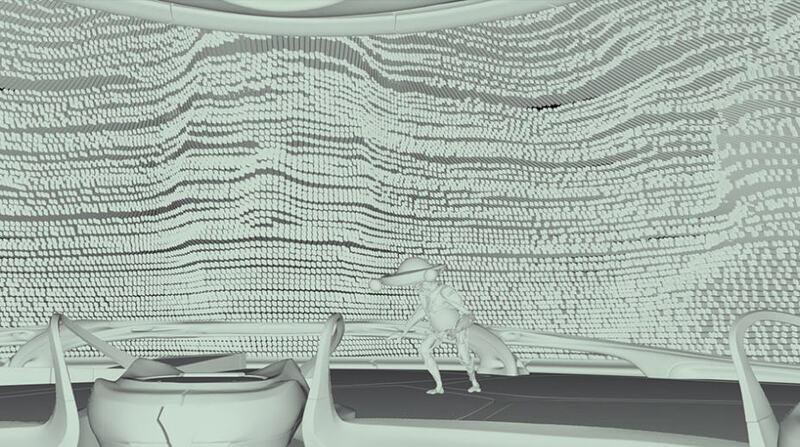 These were used to build an animation database that could effectively drive the movement of the pinscreen. 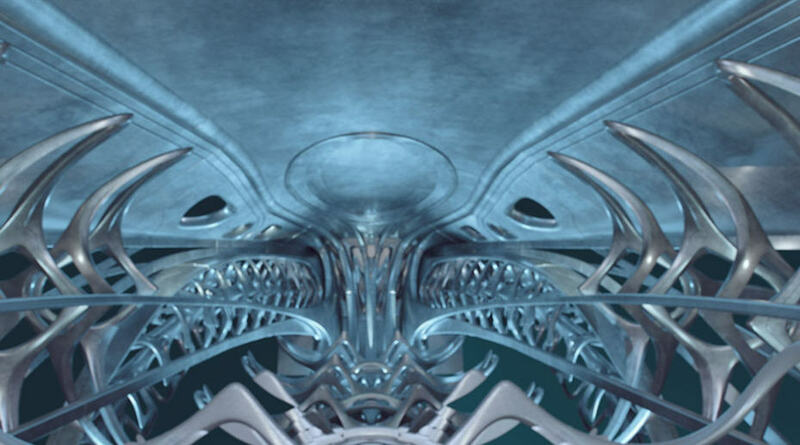 This process was complemented by Image Engine’s proprietary asset management system Jabuka. 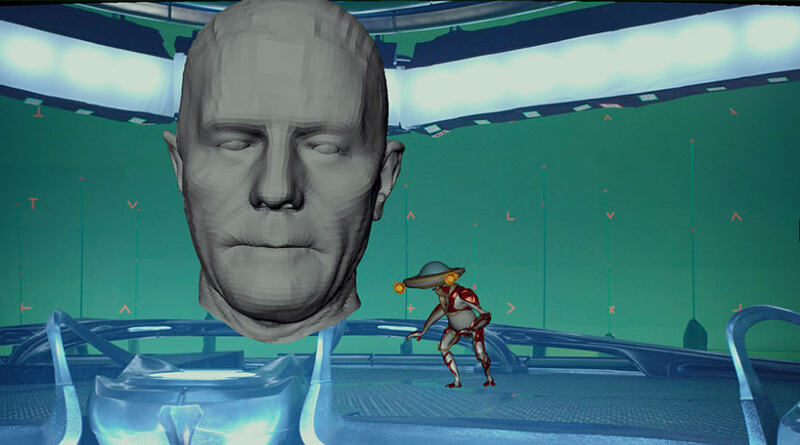 After matching mocap and editorial reference, artists would insert it into Zordon’s animation rig using a Jabuka workflow template. 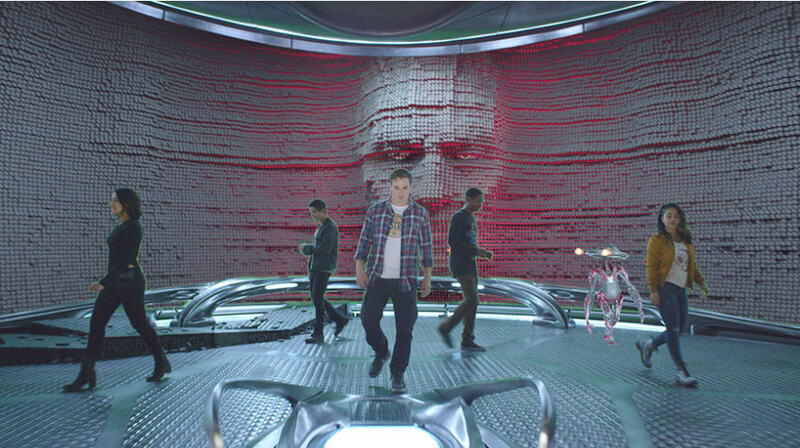 Animators could then work on top of the mocap to further refine Zordon’s character and personality. 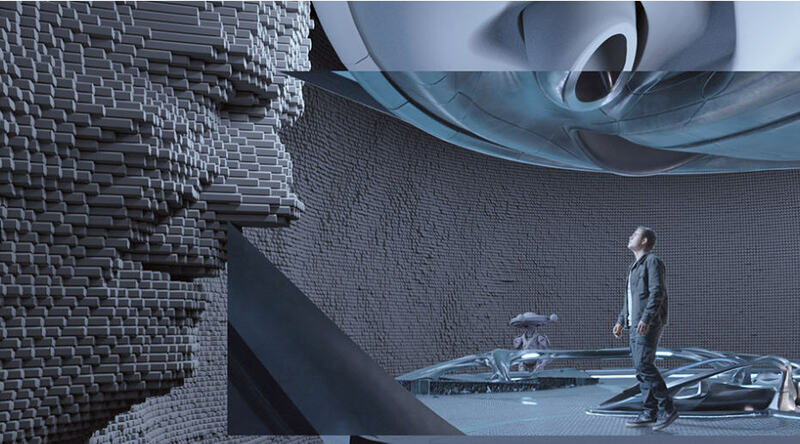 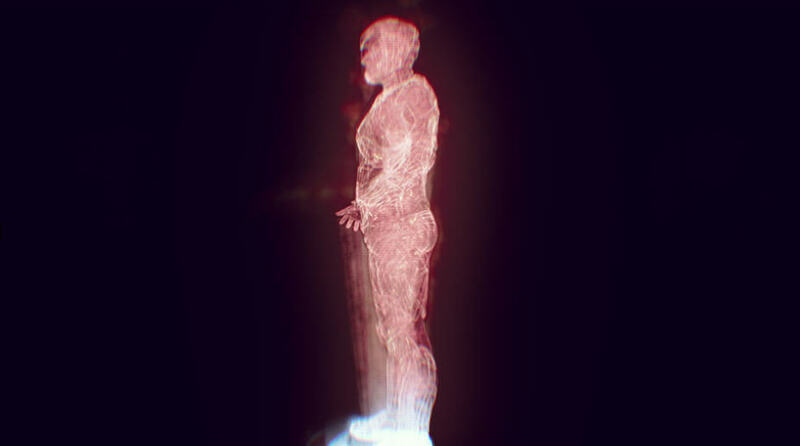 “Animation department approval on a Zordon animation would trigger automatic FX setups, implemented as Houdini Digital Assets, which would generate new geometry caches, lit and shaded renders, and Quicktimes for final review,” adds R&D lead Andrew Kaufman. 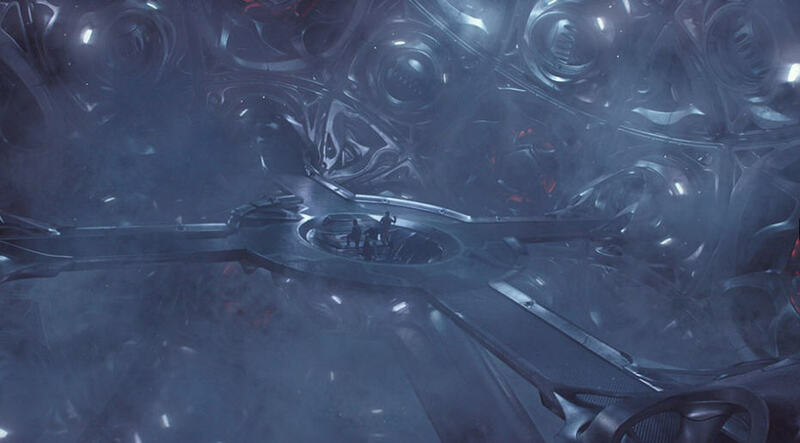 When the teenagers first arrive at Zordon’s ship, they witness its interior sections shifting and deforming, revealing vast sections of the location via a complex set of interlocking circles. 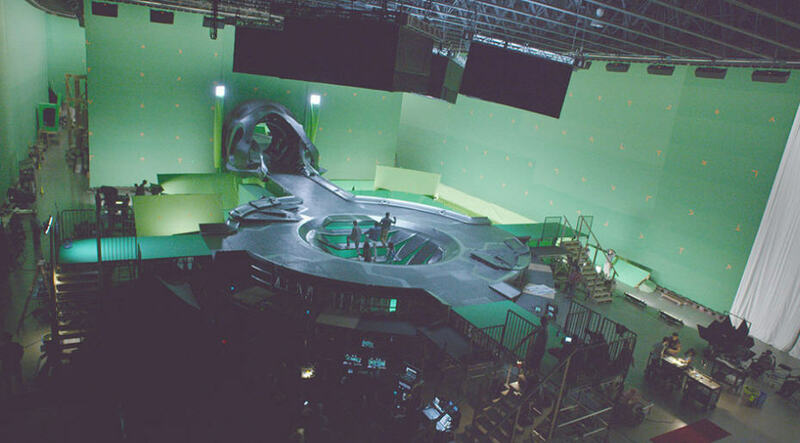 Although huge parts of the ship were built on set, these effects and others involved large-scale digital builds by Image Engine, with the actors shot on greenscreen and composited into the shots. 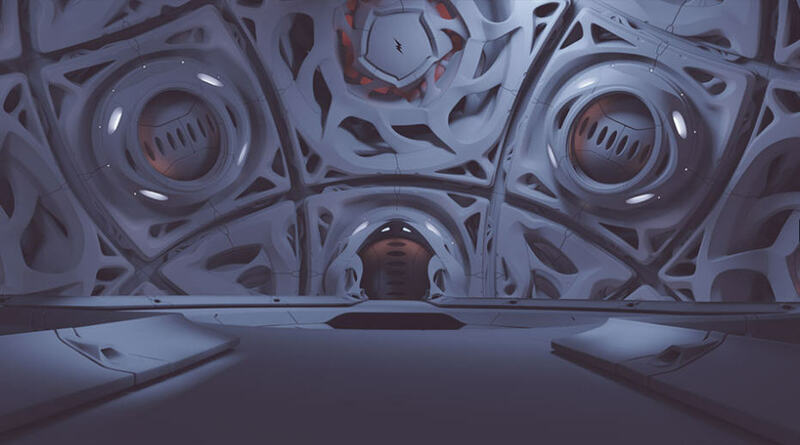 To render the ship environment and other CG creations throughout the film, Image Engine relied for the first time on Autodesk’s Arnold renderer. 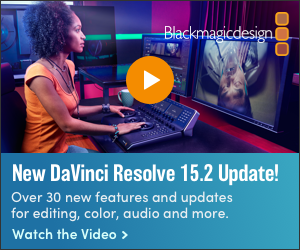 The team further supported this rendering workflow using the studio’s numerous proprietary solutions. 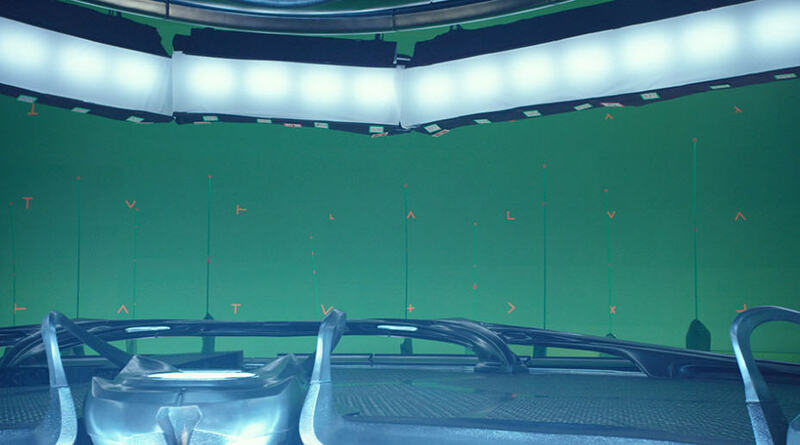 “We integrated Arnold seamlessly into the workflows of all departments at the Image Engine studio,” explains Kaufman. 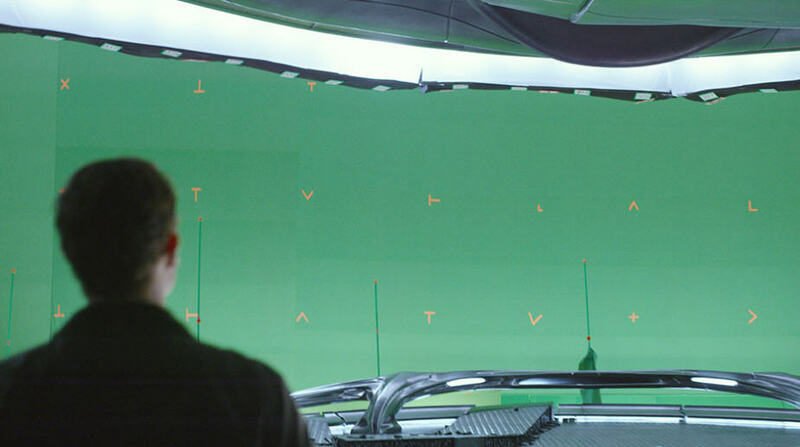 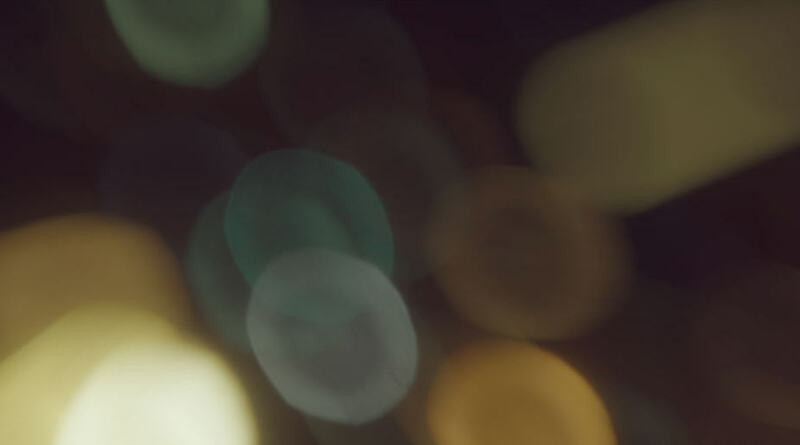 “We’ve released the backbone of this work publicly, as part of Gaffer, the open source node-based application framework for VFX at Image Engine. 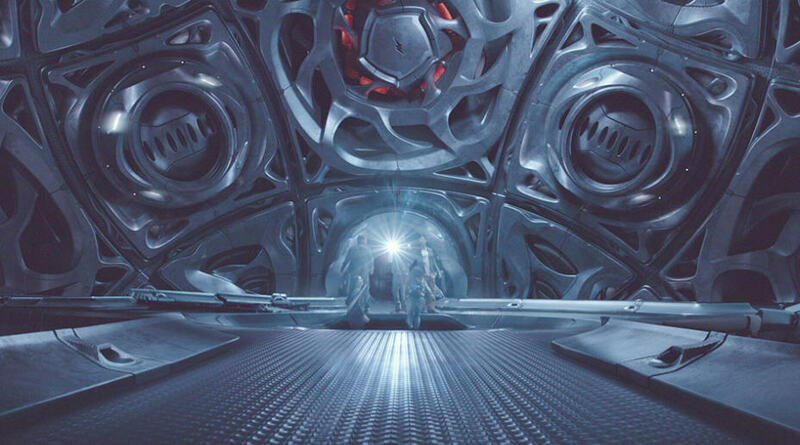 Another section of the spacecraft’s cavernous interior comprises the central core of the command centre, where the sun-like “morphing sphere” is found. 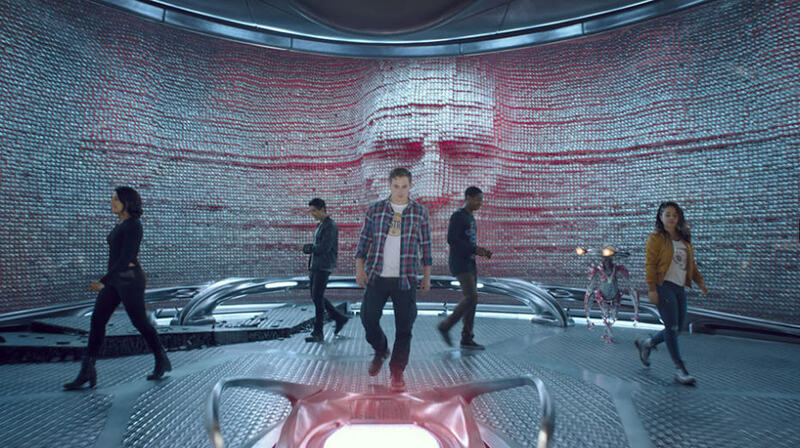 It’s here that the film’s protagonists are transformed for the first time into the Power Rangers. 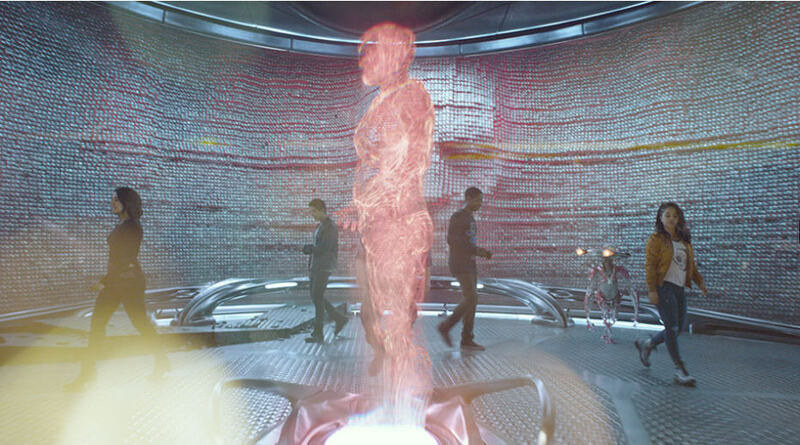 Image Engine shared this sequence with visual effects studio Pixomondo, which created the Power Rangers’ suit transformations. 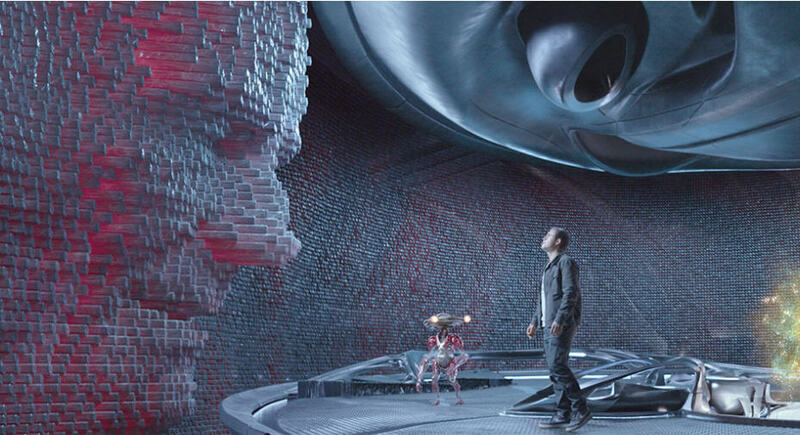 Image Engine was responsible for the design and execution of the environment and the delivery of several dynamics effects, including the morphing sphere itself and the strands of energy that emanate from it, causing the suit transformations. 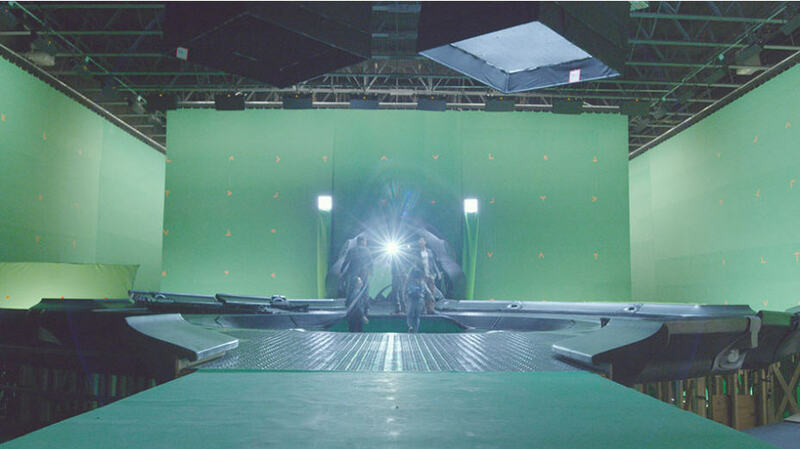 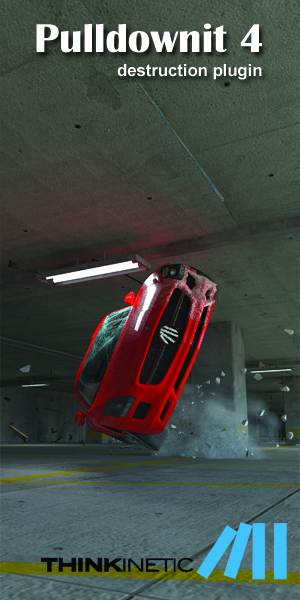 Image Engine and Pixomondo worked in tandem, ensuring the shot felt as if it had been delivered by just one vendor. 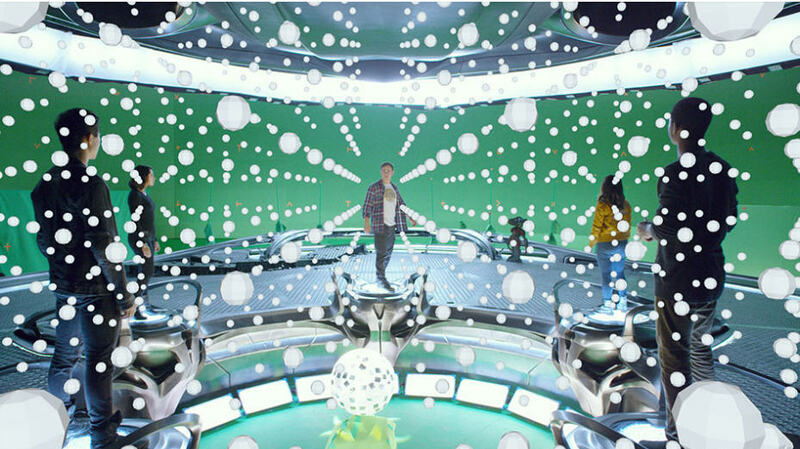 “We had to come up with a creative solution that connected the look of the energy that Pixomondo had created around the characters’ suit morphs to the look of the morphing sphere itself,” explains Morley. 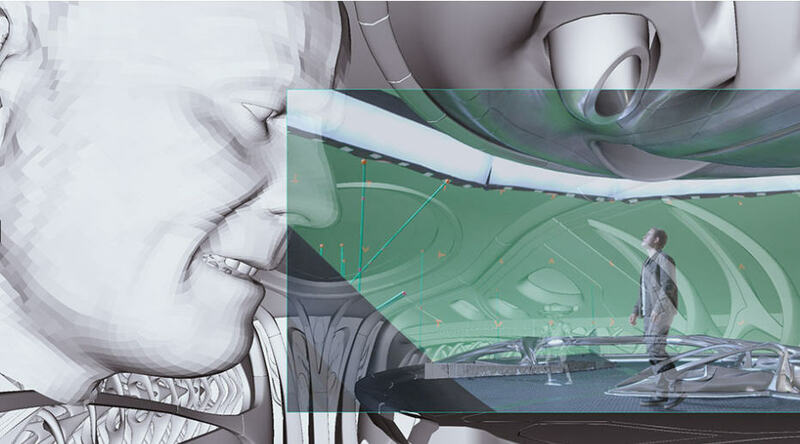 “We created a particulate- and volume-based solution that fired fingers of energy outward from the sphere and surrounds the kids, which was based on matchmoves of the actors. 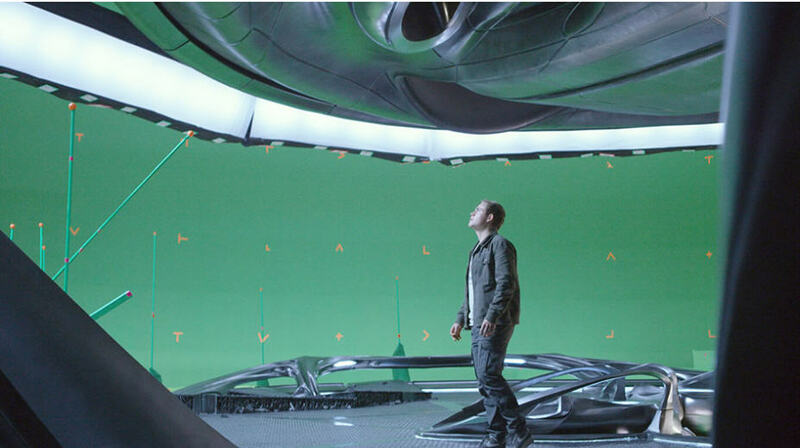 This simple link seamlessly connected our work with Pixomondo’s; it felt like the sequence had been delivered by just one vendor.” Overall, Image Engine’s crew of 120 artists worked for seven months in what proved to be not only a fun visual effects project, but also one in which artists could re-live the thrills of the television show. 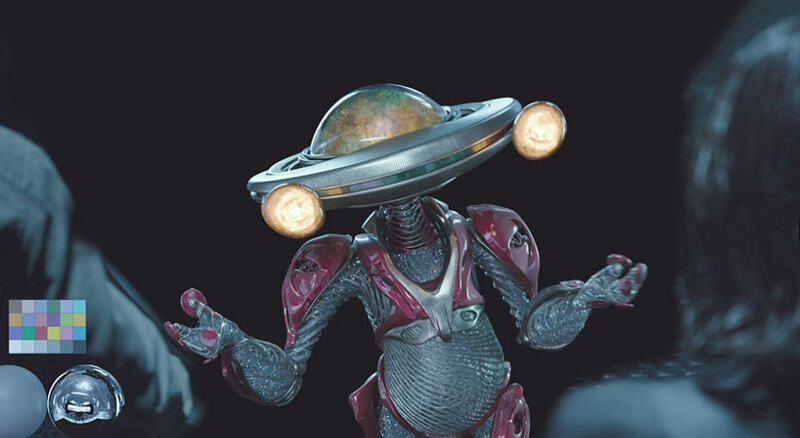 “Man, I was a huge Power Rangers fan when I was a kid,” remembers Synman, who revelled at the chance to work on the film. 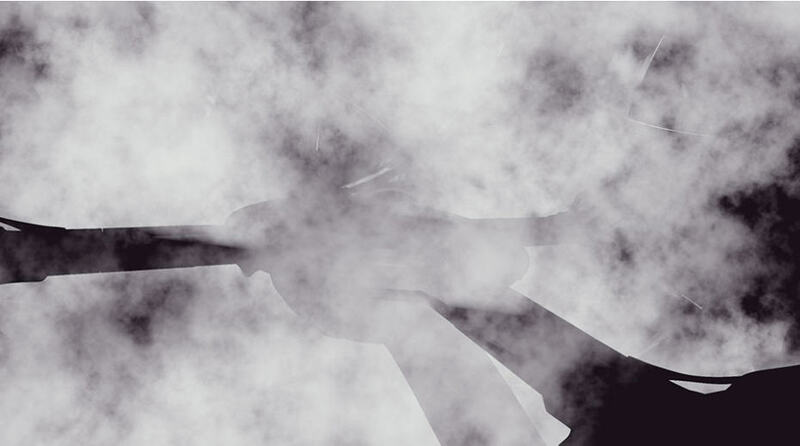 “Every day after school, I got home and thought – ‘here it comes. 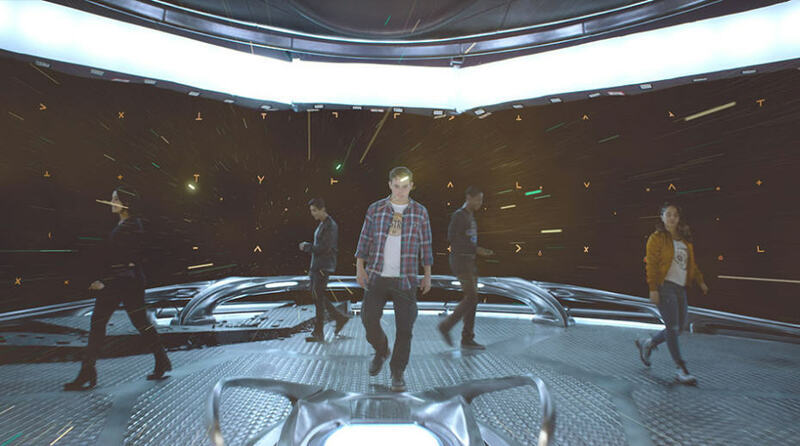 Go, go, Power Rangers!’ So when I heard this project was on the cards I was absolutely over the moon.” It’s a sentiment shared by Morley, who particularly enjoyed collaborating with Israelite and Faden. 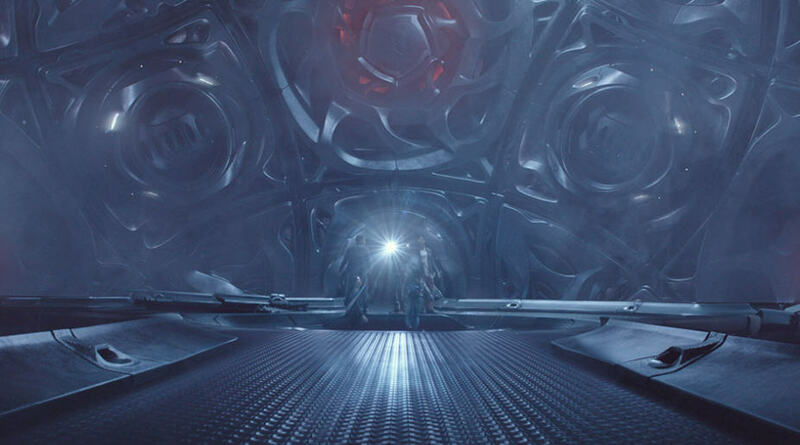 “It was immense fun being there on set and it was brilliant to be able to talk and collaborate directly with Dean and Sean throughout that whole process. 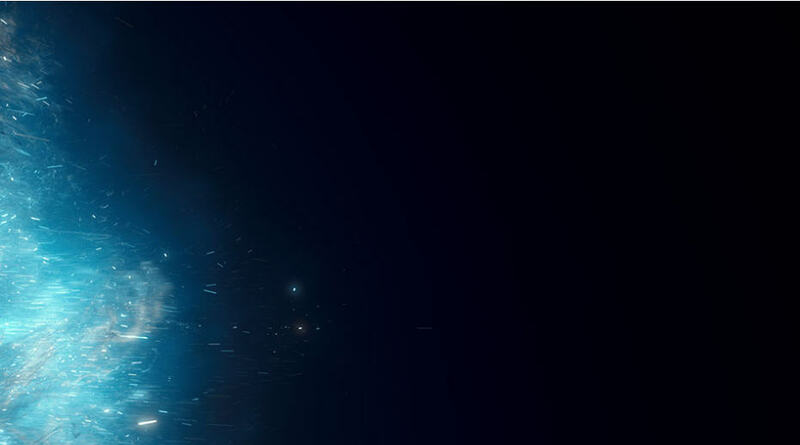 We knew exactly what we wanted to achieve, how we wanted it to look, and how we wanted to go about it.